“It’s always good to see a familiar face.” The closing line of dialogue during Dishonored 2’s initial reveal back at E3 2015, but also the thought running through the minds of many pleased-as-punch to see Arkane Studio’s hit first-person stealth title getting a well-deserved, current-gen follow-up. The original Dishonored in 2012 might well have been a fresh face, but familiar its sequel most certainly is; succeeding through a delicately-crafted mix of intricate gameplay, thoughtful level design and (what many would consider its unique trait) gorgeously-dirty steampunk aesthetic. Dishonored 2, four years later, while keeping to many of the principles of its predecessor — mechanically and artistically alike — stands as another example of that most classically fated of sequels. Confident, refined and best of all, fascinating to pick apart. Fifteen years after the events of the first game, Corvo Attarno — protagonist of the original — is now royal protector (and father) to the once-young Emily Caldwin, now Empress of the Isles. Both of which are now playable characters, the choice coming mere seconds upon the rise of yet another dastardly scheme to overthrow the monarch. 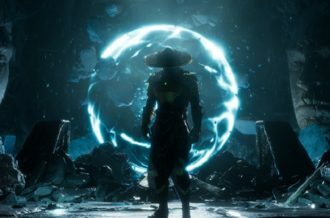 The plot itself kicking straight into gear within the first real minutes of the game as does the amount of exploration players can get stuck into. Even for a first mission/level, the amount of variety and optional exploration on show in the now under-curfew Dunwall genuinely surprised me. It’s a philosophy — as much a central gameplay element — that carries through thereafter as you travel from the Mediterranean, picture-postcard, coastal locale of Carnaca to its more-deprived and ruined apartment complexes and later on through the now-infamous, art-deco Clockwork Mansion. Arguably, with little hesitation here, one of the best designed stand-alone levels in any game this year. 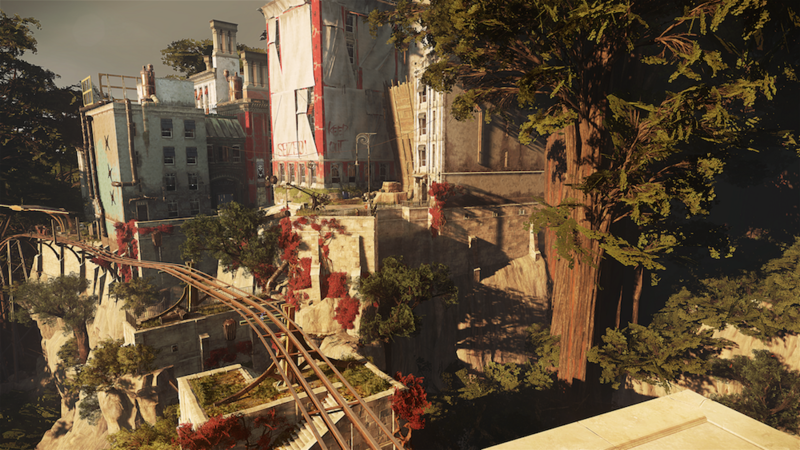 Yet despite the mission-focused, factioned-off structure to the game, rather than natural transition from one connected locale to another, what makes Dishonored 2’s setting work, apart from its gorgeously pastoral and partly characature art-style, is the level of detail and consideration for variety on show. 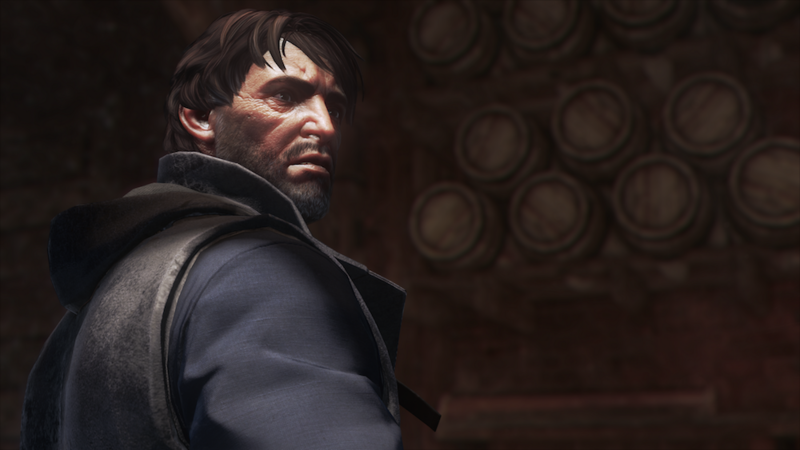 It’s only when you truly sink yourself into the World, sneaking through abandoned buildings, greyed slums and across rooftops alike, do you truly engage with how brilliant Arkane have not just designed this, but recognize the importance of a player-driven experience that allows these moments of thoughtful, albeit confined, level design to truly shine. Moments that, while don’t necessarily impact the game, when discovered can turn a simple ten/fifteen minute getting from A to B, into a full hour or two of the optional, but self-professed, need to find/know more. Be this eavesdropping on NPC conversations about possible treasure in a quarantined building or simply fleshing out the social/political tone of the World itself, there will be many who will easily ignore or perhaps miss these brief secondary additions (and, crucially, be none the worse off) but for a game that doesn’t shy away from its sectioned-off semi-open framework, Dishonored 2 feels more and more like a living, breathing World with its own myriad of internal conflicts and social struggles, as opposed to a mere assortment of artificial assets. And this carries right through until the very climax of the game’s 12-15 hour campaign — which, for the curious types, could very well push into the 20+ region and possibly further still. It certainly helps to alleviate some of the slog that comes by way of the plot itself which for the most part falls relatively by the wayside in terms of significance when taken the series’ now-expanded visual World into perspective. 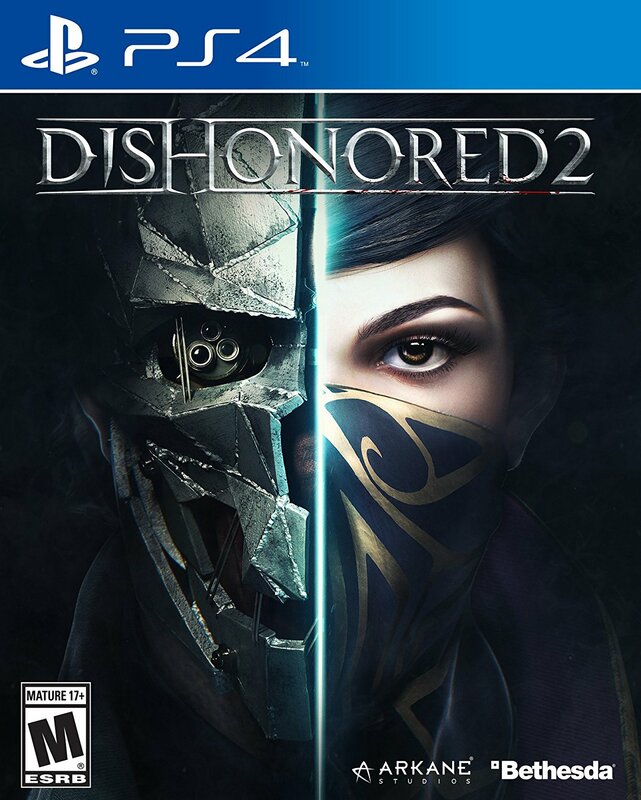 Be it a middling and passive delivery of dialogue by primary and secondary characters alike or the way exposition is dumped on the player in heavy doses at particular spots, within the core of the campaign, Dishonored 2 doesn’t quite improve upon the original’s former niggling complaints. To counter, this is but one more subtle joy to discover in exploring more of the environment, particularly when stumbling across dead bodies near ritualistic-like altars or murdered guards with written notes/log of concerns over the big-bad’s actions prior to the campaign’s very commencement. During said campaign, though you’re provided objectives and missions in a linear fashion, the game never forces this necessity on you — allowing you to not just tackle the objective in one of [on average] four alternate routes/methods, but simply explore the mission area to your heart’s extent. Believe me, the extent and effort to which Arkane put into the World itself might well be unparalleled with any other offering this year. 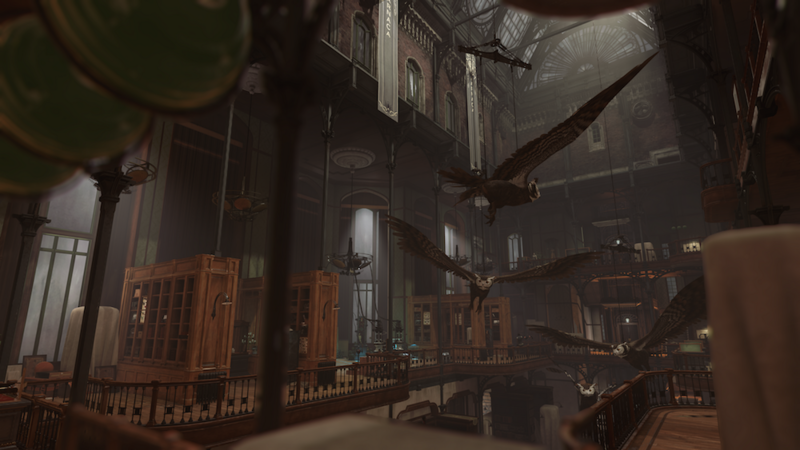 Be it the elaborate way in which interiors/exteriors/open areas weave in and out of one another, the considerate use of light and shadowed regions; while Dishonored 2 may not be an open-World game, the amount of traversal variety on show certain makes the first-person perspective feel just that. 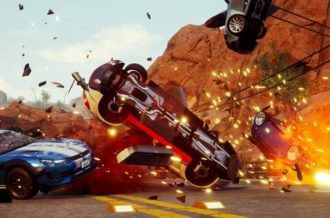 At some points, whereupon you manage to get past an obstruction to the point climbing on top of the roof or missing out entire segments altogether, the sense of somehow breaking or cheating the game begins to unsettle you. But it’s quickly diminished once you realize that, yes, it’s further proof Arkane recognise player intelligence — stumbling across an open window or pipe leading you onto a rooftop and deducing the possible benefits they may hold — is about deduction as it is imagination. And it’s combination of deduction and imagination that plays into the stealth mechanics too, the ways in which the more non-lethal abilities (of which you acquire through discoverable runes littered about the World) can stack making for some interesting tactics on show. While I myself remained obliged to take a non-lethal and stealth option for both playthroughs (one as Emily, one as Corvo, yet feeling no less stronger or weaker depending on the choice) there’s no doubting the sight of three (or possibly four) linked guards getting neutralized following a slick and shadowy move and fast reflex with the crossbow — ammunition-based weapons once again allotted to the left hand with your blade in the accompanying right — incurs a slight bolster of pleasant satisfaction. 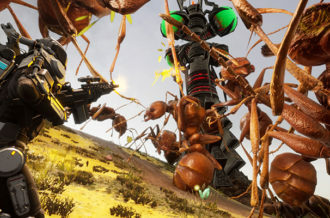 But for those keen to stay as far from combat and even avoid detection altogether, especially from an AI that, for the most part, performs commendably (though Dishonored 2 isn’t immune to the occasionally buggy animation from a patrol or a guard who can’t see one’s position a few yards away) will find a game no less curious to explore as much flesh out with its depth of hidden logs and ample scattering of collectible upgrades. 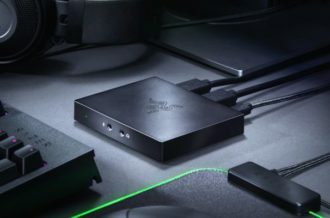 Upgrades which, like fellow Bethesda offering DOOM this year, don’t dampen the experience should you decide to ignore them entirely. There’s even an option for you to tackle the game without any form of supernatural assistance. But if you did, you’d miss out on the simple thrill of phasing/jumping from one platform to another or quickly evading the sight of a curious guard; in all its simplicity, the grapple-like ability Emily possesses has such a surprisingly satisfying look and feel when in use, adding one more small-but-mighty piece of visceral gameplay that is both pleasant to use but, more importantly, is beneficial to those eager to tackle the game’s increased use of arrangement and verticality. Sad as it is to profess, Dishonored 2, for all its triumphant attention-to-detail in visuals and multi-layered structural design, comes weighed down by issues hard to ignore — both minor and horribly major in scale. 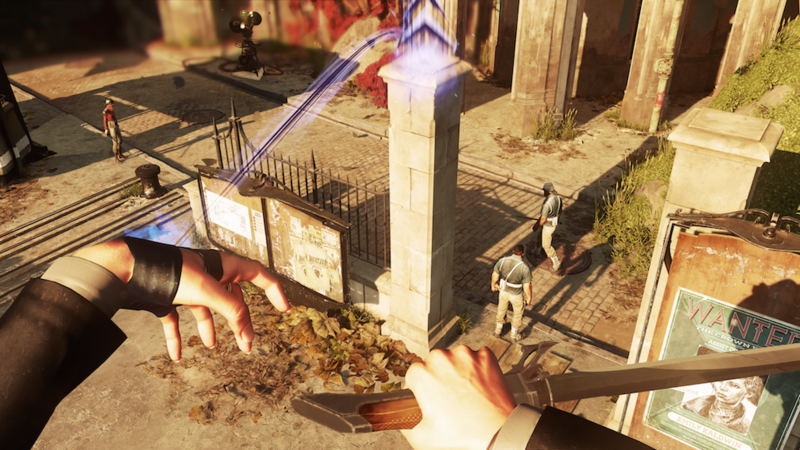 The latter, as you might guessed, coming in the form of the PC port’s performance; having played (or at least attempted to play) on both console and PC equivalents, at the time of writing, Dishonored 2 remains unplayable in the very literal sense — a lack of input functionality as well as a skipping frame-rate, despite numerous attempts at altering video and controller settings, offering but a mere still of the campaign’s opening after only a few seconds. While the PS4 version may not suffer from the same glaring faults, the ocassional strip of white, representing the point certain mapped textures meet, can at points offer a minor break in immersion as can the more blocky objects lacking the same heightened polish clearly felt in large portions of the game. Other notable criticisms, which lay in the game itself, are the swordplay which — like the original — retain some of their awkwardly clunky manner of flow, enemies often getting suckered into displaying a waver of intelligence by, for example, stabbing their cohorts while said person is caught in a strange-hold (in itself ruining any chance of a perfectly non-lethal run). 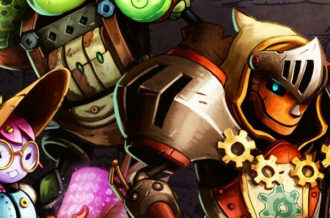 Characters too, though adorning the exaggerated features much like the previous game, can at points express a sheer lack of emotion in their facial expressions. Had it not been for its plagued release on PC — not to mention the niggling texture work that pops up from time to time — Dishonored 2 just might have been in strong contention for best game this year. As it stands, Arkane Studio’s follow-up to one of stealth’s most acclaimed newcomers, remains one of the best games released in 2016. Arguably one of the smartest, most elaborate and fully-realized Worlds from a design stand-point alone, Dishonored 2‘s conflicting bright, bold and glum visual palette alongside its expanded aesthetical mythos is splendid to look at and even more splendid to creep one’s way around. What’s more, a less-than-stellar story aside, Arkane’s compensation in the visual accompaniment — be it interiors, items or dead bodies alike — makes it near-impossible not to get entrenched by the greater and/or collective presentation on show, no matter how subtle the offering may be. Dishonored 2, with its refined mechanics and expanded gameplay following suit, personifies what a sequel should be.